Harry Potter moment of the week is a meme started by Uncorked Thoughts. The aim of this meme is to share with fellow bloggers a character, spell, chapter, object, quote etc. from the books/films/J. K. Rowling herself or anything Potter related. This week’s topic is…favourite film in the Harry Potter series. This is a tough one, and not for the reasons you think. It’s because I haven’t seen all of the films yet. I’m in the process of a Great Harry Potter Rewatch, but it’s taken me months and months and months, and so far I’ve only watched five of the six films I’ve seen before – I still haven’t seen The Deathly Hallows. Mainly, it’s because I love the books so much, and I generally feel that the films haven’t lived up to the world that was created by Rowling in my mind. However, when I think of them related but mostly apart from the books, I actually quite like some of the films. Therefore, my pick is (and this could change after I eventually watch The Deathly Hallows)…Harry Potter and the Goblet of Fire. For me, Goblet of Fire is when the films reached a real turning point, although popular opinion has it that Prisoner of Azkaban is when they turned dark. I disagree, Prisoner of Azkaban was forcibly dark, Goblet of Fire was dark because of what happened in it, and the way it was handled. Goblet of Fire is the first time we see Voldemort in the flesh, it’s the first time an innocent gets killed in front of us in present time. The film is wonderfully acted, both the new additions such as Ralph Fiennes and David Tennant, and the regular cast, who I felt the cast came into their own in Goblet of Fire. It’s full of bleak moments, but also funny ones, and the balance is just right. What‘s your favourite Harry Potter film? Aww 🙂 it is very difficult to pick between them all isn't it? 🙂 They're all so amazing. I think the later ones are much better, the earlier ones I can just about sit through now without getting too annoyed about how the books are better! 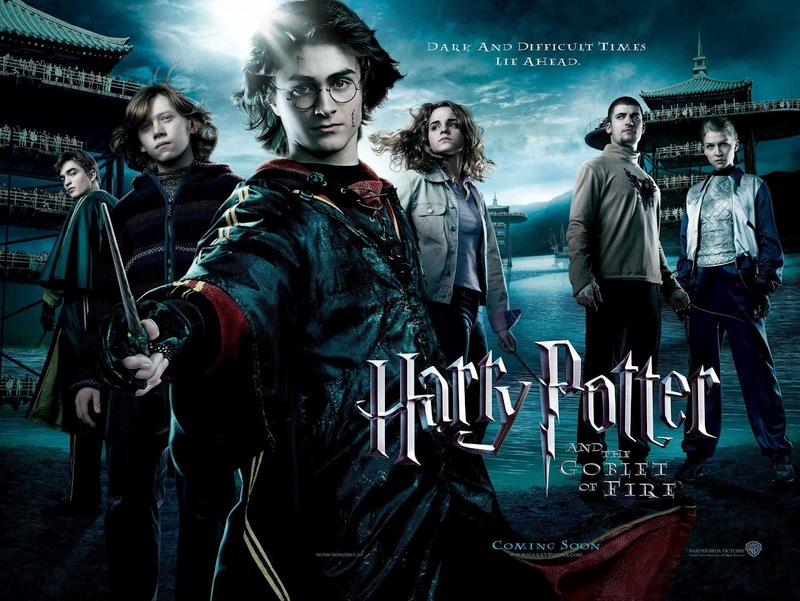 Of the later ones, I really like Goblet of Fire onwards (although, as I said, I haven't seen The Deathly Hallows). This is my favorite film too!! I just love it! So much happens in it!! I just like the way the series develops when it gets to this film, it seems to settle into its groove.